This just in! Camco “Life Is Better At The Campsite” RV parts and accessories are now available at the Wilkins RV Bath, NY location! Show off your camping spirit with fun RV related accessories starting as low as $3.99! These accessories make a great addition to any campsite. Do you know someone who just bought a new camper? Help them break in their new RV with a “camper-warming” gift. These items make great gifts for RVers of all ages. Even when you’re not camping, items such as the insulated coffee mug will help keep those happy camping memories with you during your normal day to day. When the weekend comes you can be on your way to your next RV adventure. The spring camping season is right around the corner and It’s time to get ready. 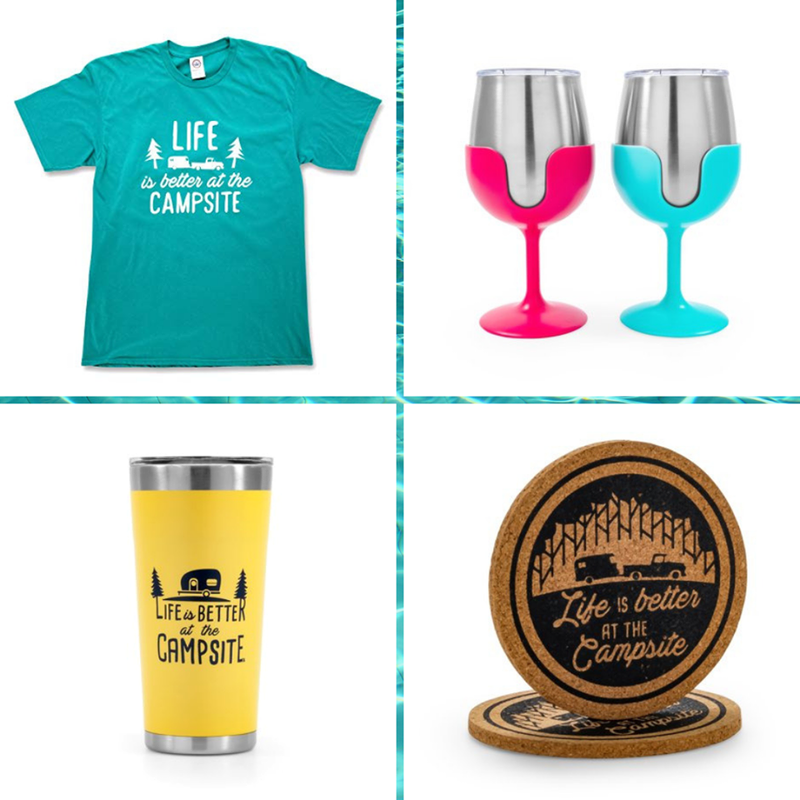 Visit Us at our Wilkins RV location in Bath, NY so you can stock up on these fun “Life Is Better At The Campsite” items. Need other RV parts and accessories to get your camper in tip top shape for spring? Stop by the Wilkins RV location nearest you in Bath, Syracuse, Victor or Churchville, NY for a huge selection of RV items. You can also fill out our RV Parts Request Form, if you are looking for a specific part. We’re here to help you make your camping trip a success. If there’s an RV related item you are looking for, Contact Us today. Wilkins RV is your New York state RV camping resource.